It's possible to transfer or to register a second-level (like www.mydomain.com) domain on EditArea. The domain will be automatically configured to work with your EditArea site. 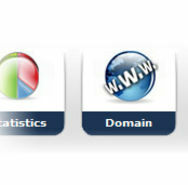 To register a domain go to the "trial site administration" and click on the "domain" entry. request the domain transfer to EditArea so that you'll have only one referrer and only one payment for your online presence by selecting "Domain transfer (15,00€/year)". select "Domain configuration (free)". The domain will be configured on our DNS servers and you'll receive via email the instructions on how to configure it on your provider/mantainer.